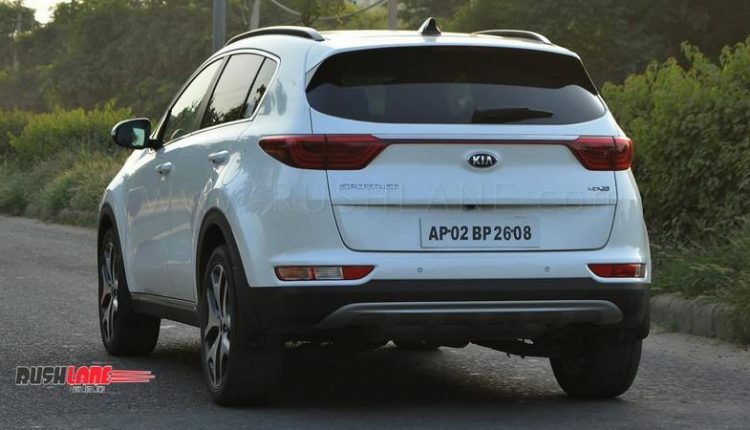 Kia had made its Indian debut at the 2018 Auto Expo and it has confirmed that the first vehicle from the South Korean auto giant in India will be a SUV which will directly compete with the Creta. 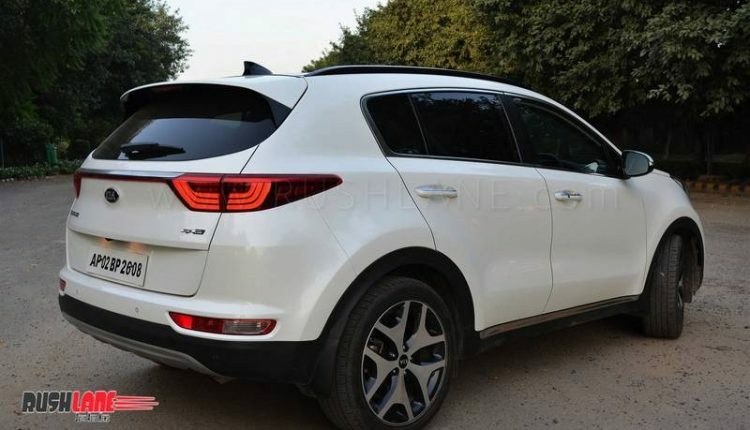 Kia had even displayed the SP Concept on which the upcoming SUV will be based upon. However, internationally Kia already has a strong SUV line-up and we drive one of their prominent C-segment SUV, the Kia Sportage, and here are 10 reasons why Kia should consider bringing it to India. 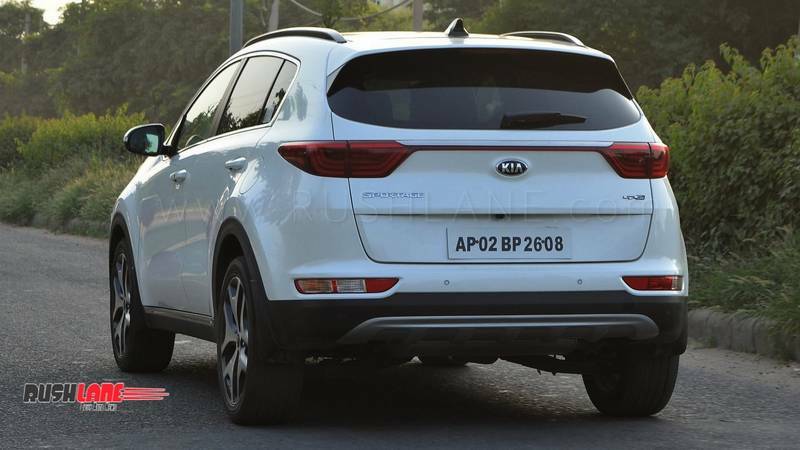 Rear Looks – Each car has an angle from where it looks the best and, in our humble opinion, the Sportage simply kills it with its rear looks. 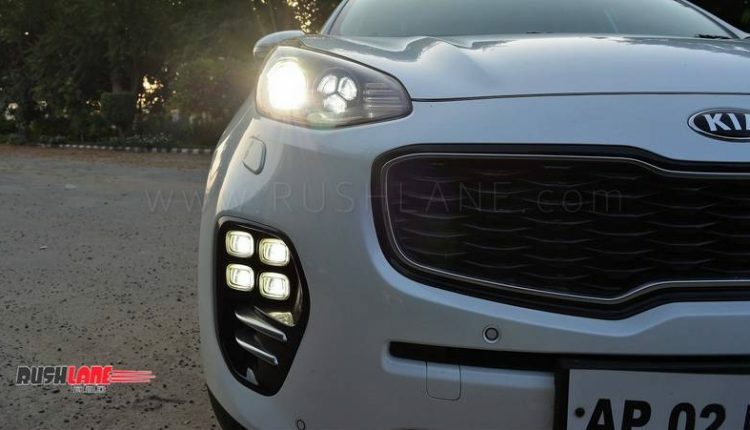 The neat and mature design, clubbed with the LED tail-lights remind you of some of its European counterparts, which obviously belong to higher segments. 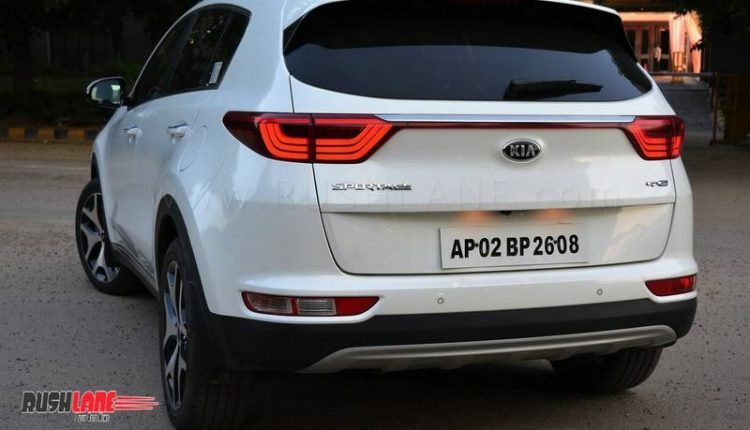 If launched in India, this might be an SUV with the best rear design in its segment. 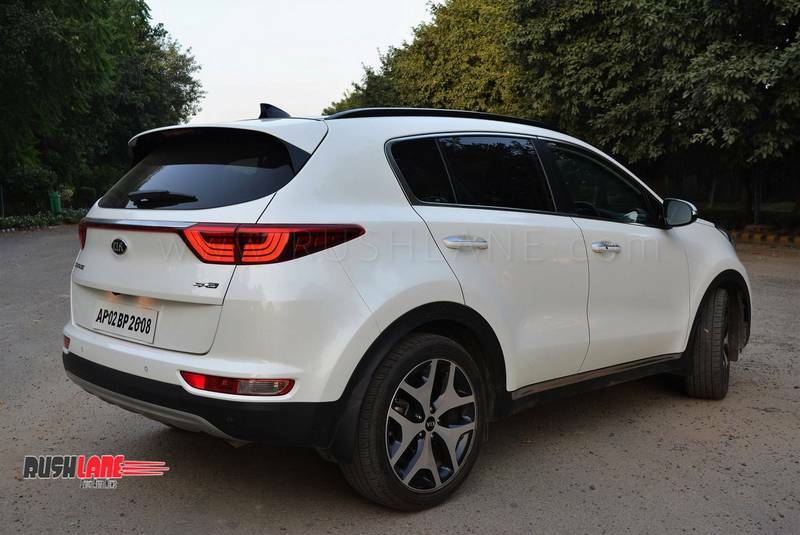 Side Profile – The Sportage looks pretty slick from the side as well. 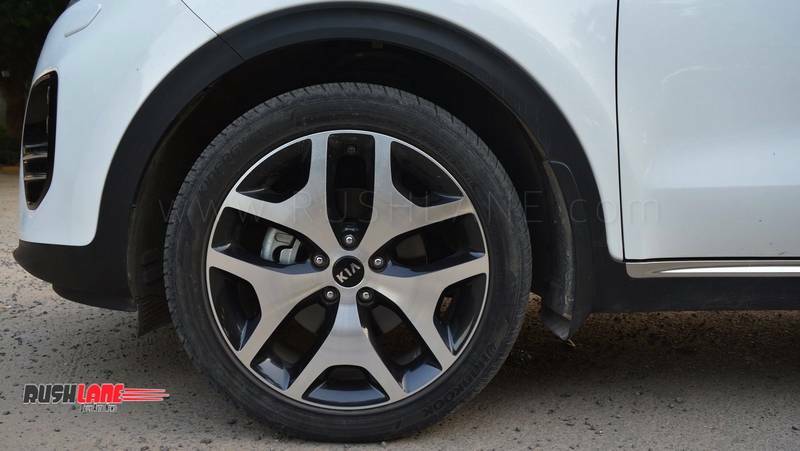 The 19-inch shiny alloys bring in some bling to the overall subtle design and help to make it look picture perfect. We aren’t sure if the same wheel and tire configuration will make way to India, however similar sized wheels with thicker rubbers should do the trick for Indian conditions. 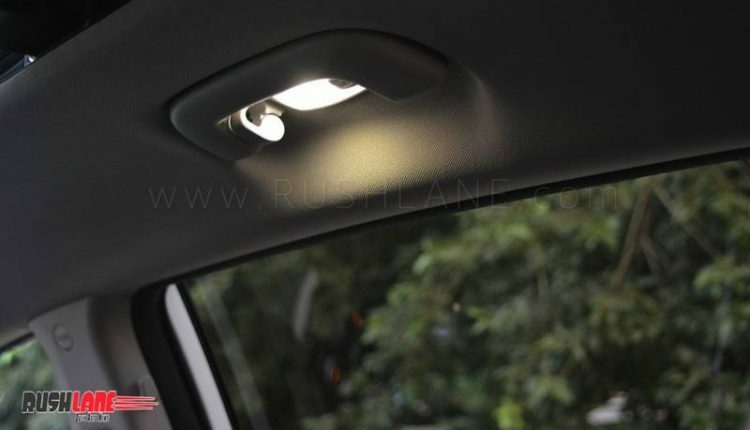 Additionally, during night, the lamps under the door handles lighten up bringing in a very premium touch, making it perfect for that ‘date night’ with bae! 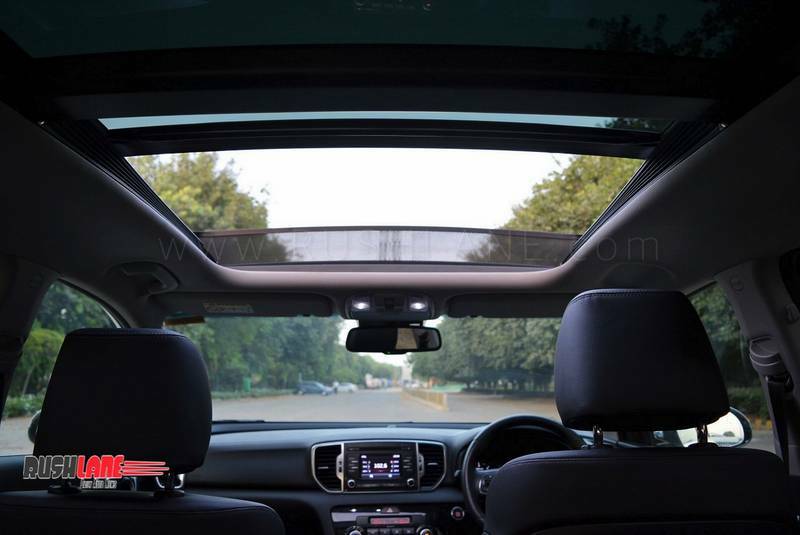 Panoramic Sunroof – Step in, and you will be greeted by a gigantic panoramic sunroof. 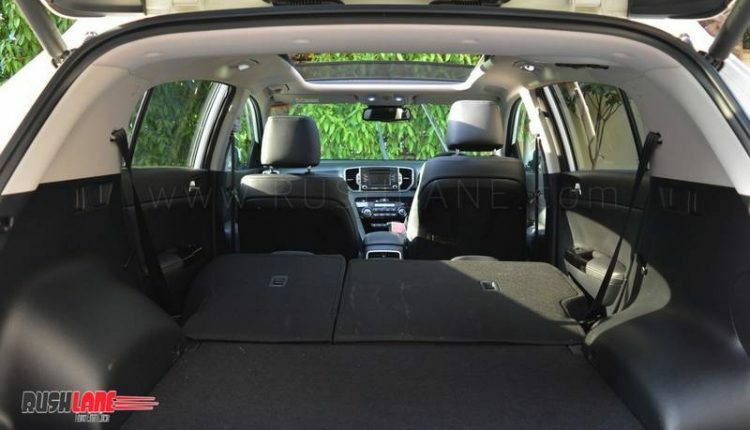 The unit is really large and stretches all the way to the second-row seats. In case you are interested, you can try out the cliched ‘Bollywood moves’ as well. 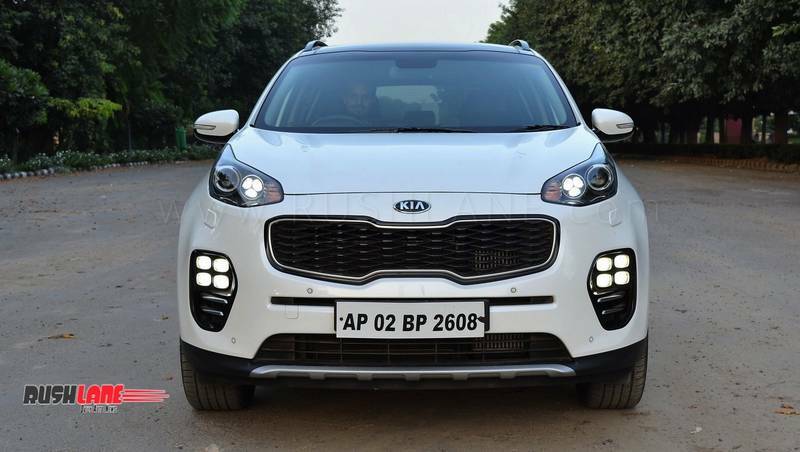 Quality of Materials – Though the car we drove was an international spec, however if Kia manages to bring in the same level of quality to India, it will be a huge differentiator in its class. 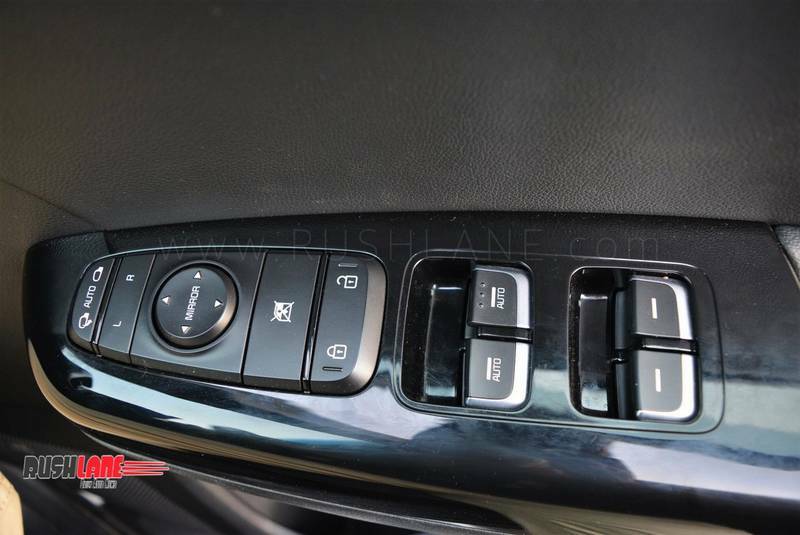 The quality of switches, knobs & dials is pretty good and the touch & feel is great too. 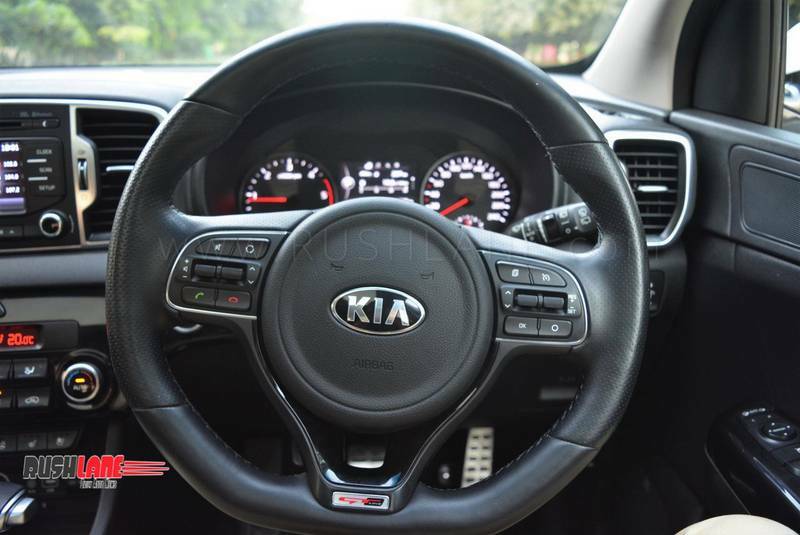 There are soft-touch plastics all around the cabin and the leather wrapped steering wheel feels great to hold! Redefining Comfort – Heated and ventilated seats, heated steering wheel, 10-way power adjustable driver seat, 8-way power adjustable passenger seat, one-touch power windows for both driver & passenger, you name it and the Sportage has it. 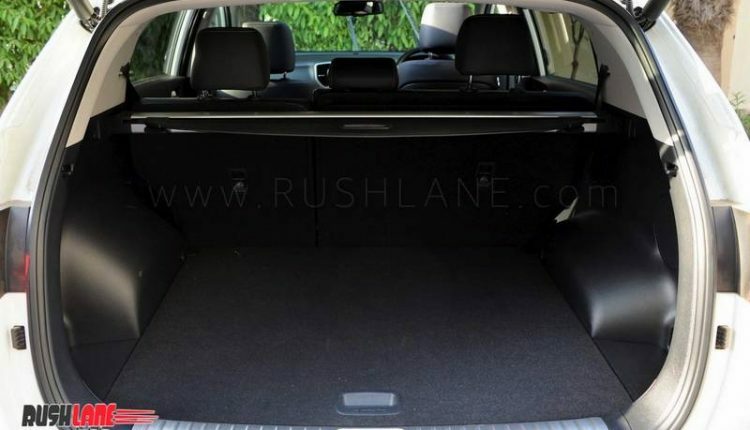 Needless to say, the interior space is humongous, and all 5 occupants get ample amount of knee room, head room and shoulder room. You will feel nicely tucked in luxury, irrespective of where you are seated. 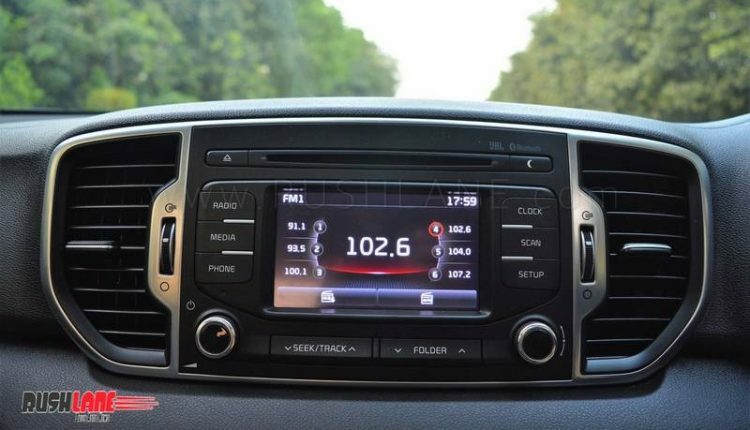 NVH levels are also good as the car beautifully isolates the diesel chatter, road and wind noise away from the cabin. 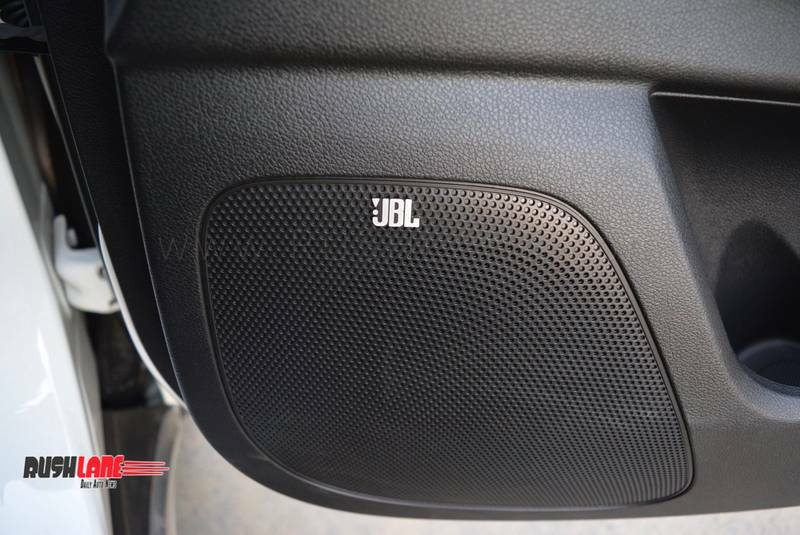 JBL Sound System – Yes, once you spend money for a C-segment SUV, you expect a good music system but the 8-speaker JBL system will surely beat your expectations. 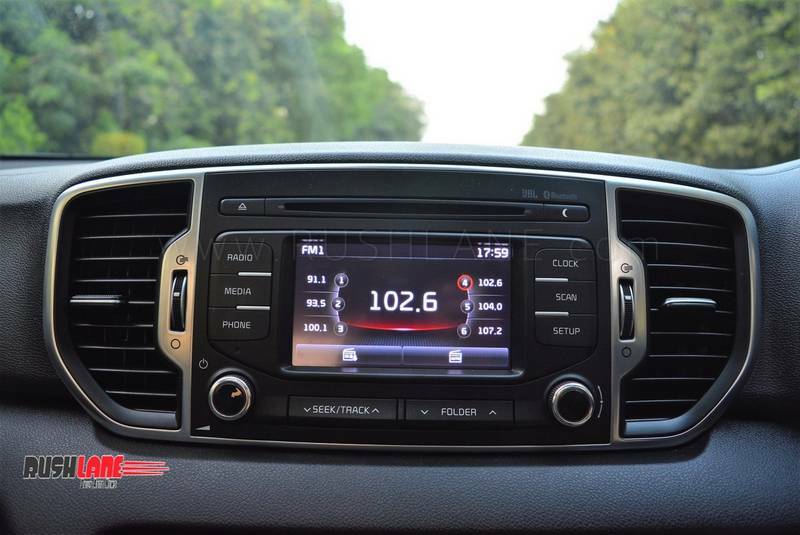 It employs a Clari-Fi technology which helps to improve the quality of the tracks further. 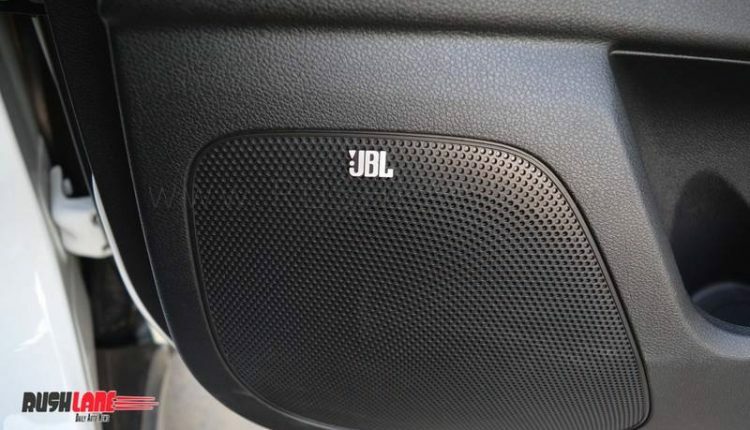 The bass level on the system is phenomenal and we are sure that you and your co-passengers would love to listen to the high-bass music numbers. 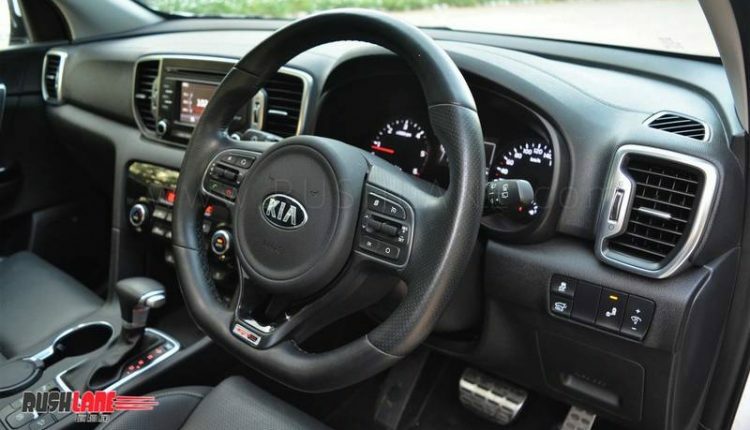 Low-end Torque – The moment you touch the accelerator, the 2.0 litre diesel motor responds brilliantly, and the low-end pull is simply astonishing. 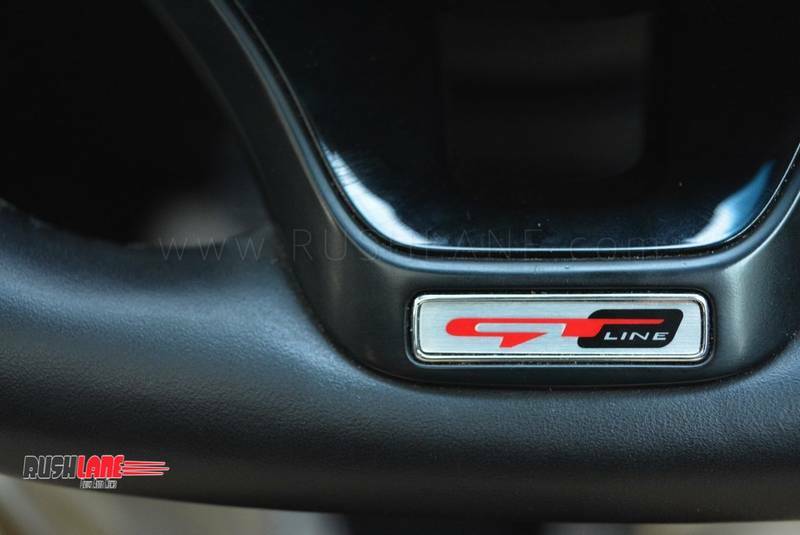 The engine performs beautifully in the low-mid range however once you get closer to the redline, it brings in more sound and less power. 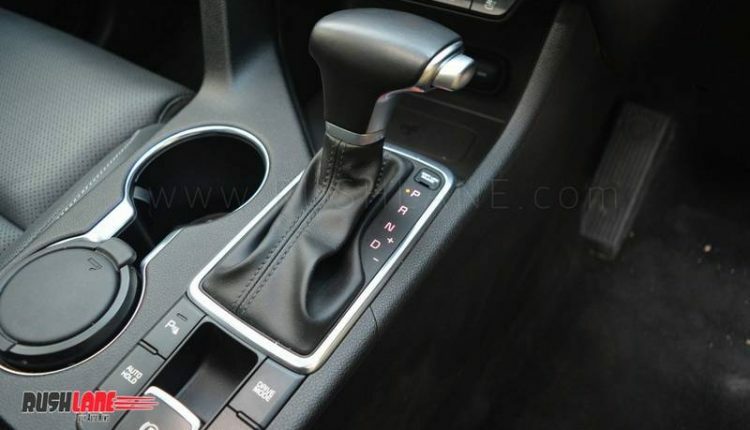 It is sad that the capable motor is mated to a 6-speed AT gearbox, but more on that later. 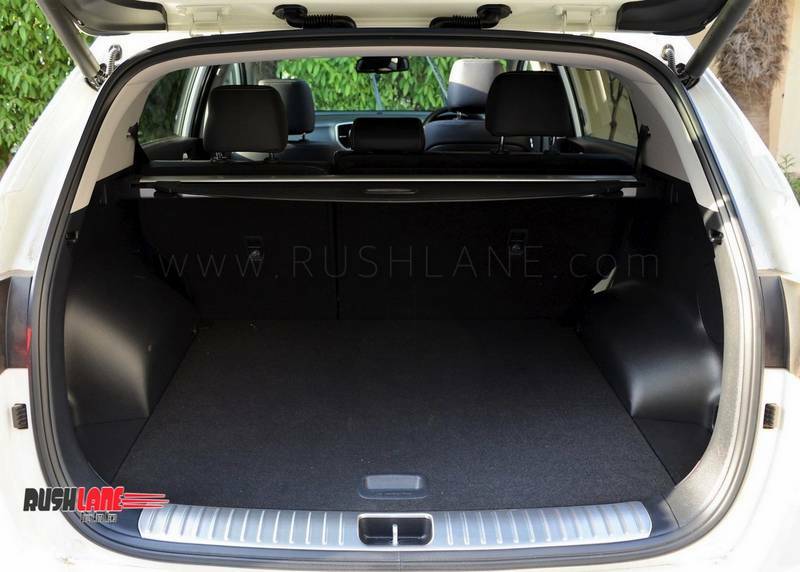 Safety Equipment – The Sportage comes along with a long list of safety equipment. Expecting 6 air-bags, ABS with EBD, ESC with down-hill brake control, parking assist with rear-view camera, ISOFIX seats etc in a SUV of this segment is obvious, however the Sportage provides a lot more. 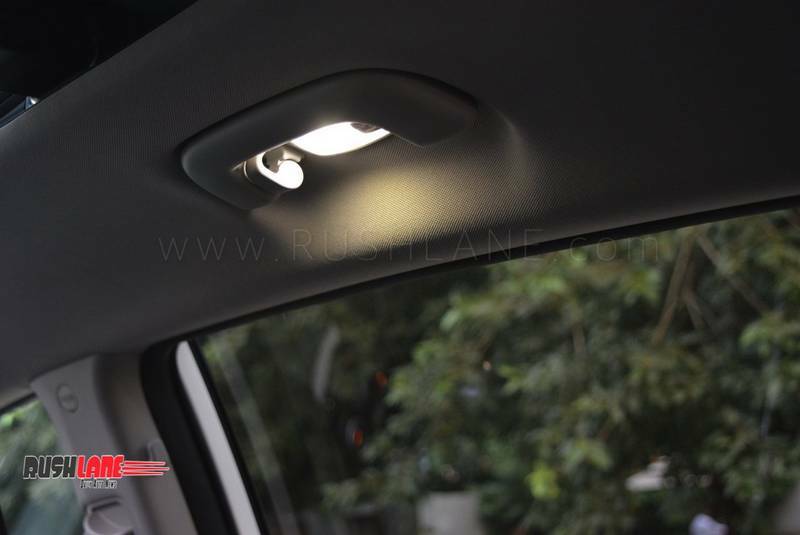 There is a Blind Spot Detection system which helps the driver with a beep-warning and an indication in the ORVMs whenever there is another vehicle in the blind-spot. 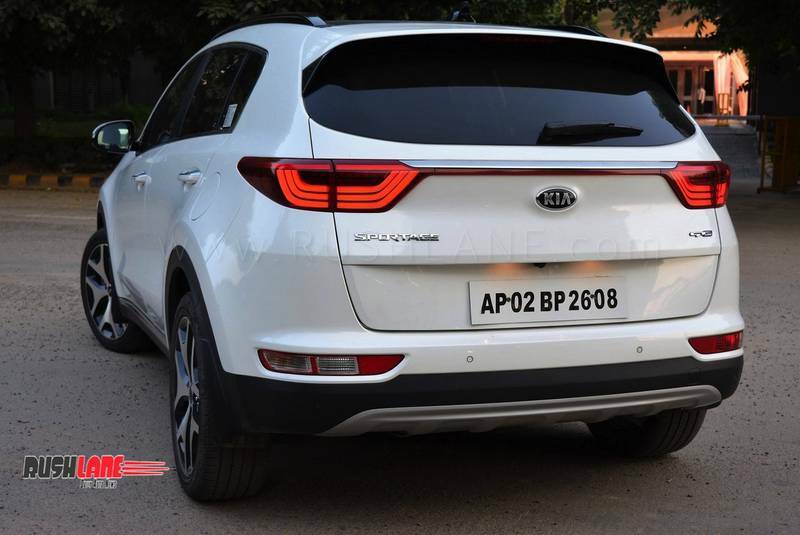 The Rear Cross Traffic Alert (RCTA) helps you with a warning when taking the vehicle out of a parking spot. 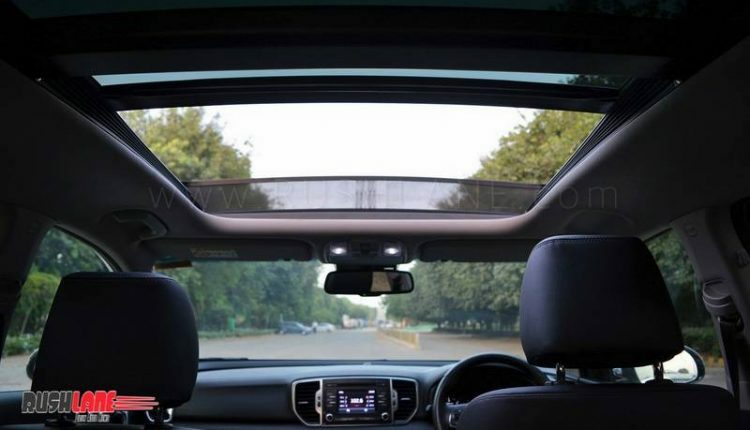 The Autonomous Emergency Braking (AEB) system clubbed with the Front Collision Warning System comes into action if it detects an incoming collision. We were fortunate, we didn’t experience it first-hand, and we would like to keep it that way. 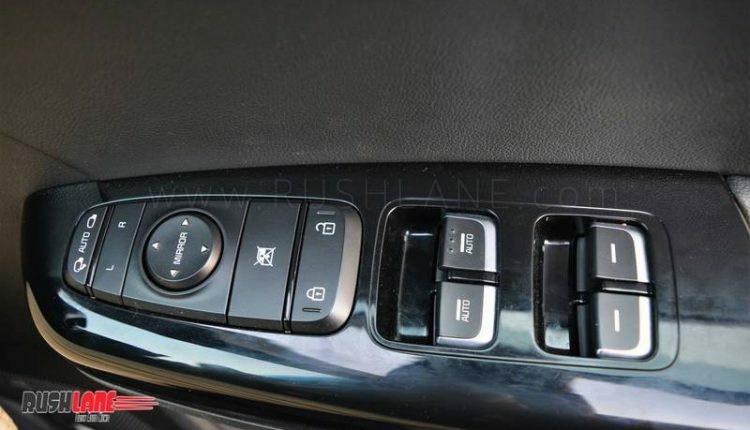 And yes, there is a lane-keeping assist system as well, which won’t be of much use in India though, considering the current condition of most Indian roads. 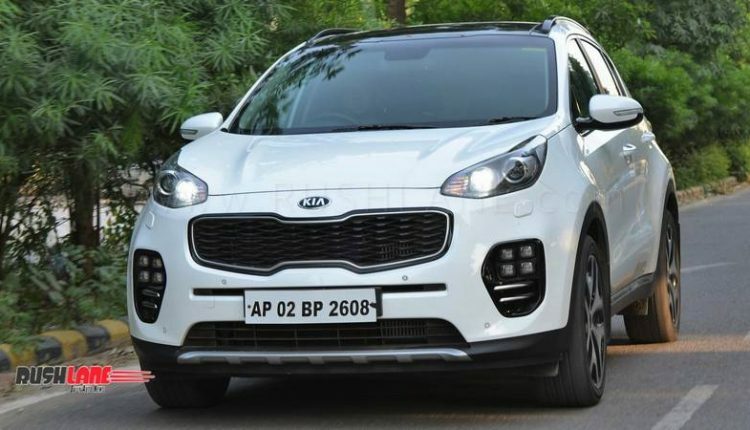 Practicality – The Sportage scores high on practicality. 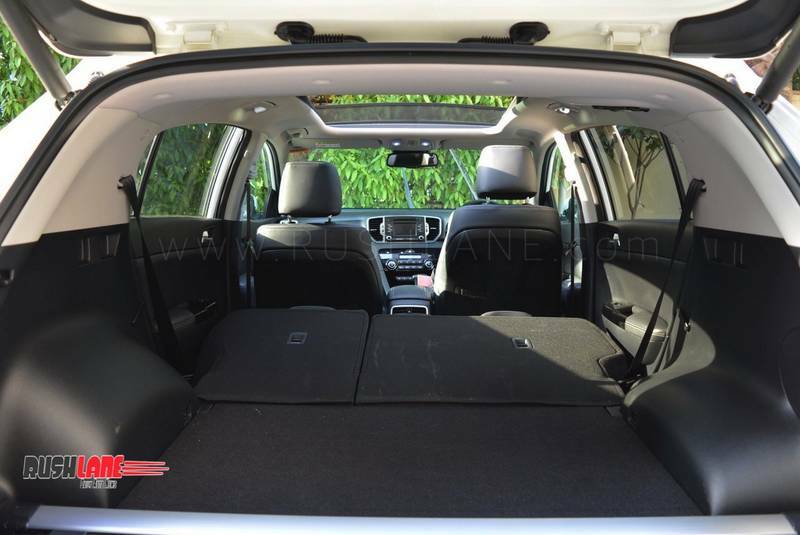 There are numerous cubby holes around all seats to provide space for the passengers to store their bottles/smartphones. USB charging ports are also available across the cabin and additionally there is a wireless charging dock for mobiles as well. 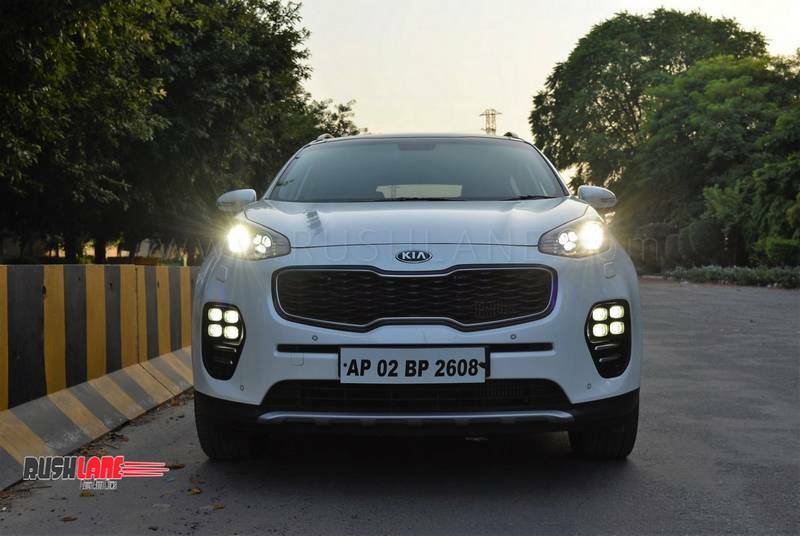 Unique Design – Overall, the Sportage has a unique design language which the Indian market hasn’t seen in a while. 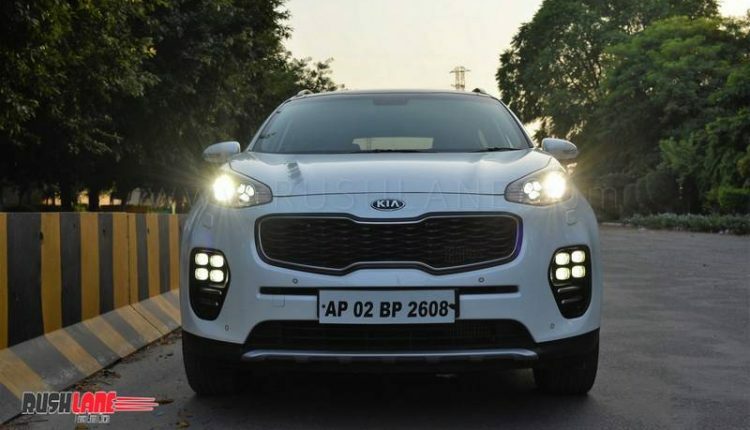 There are many enthusiasts who want to own a car which looks different from what the masses own, and Kia Sportage could just fit the bill. But! 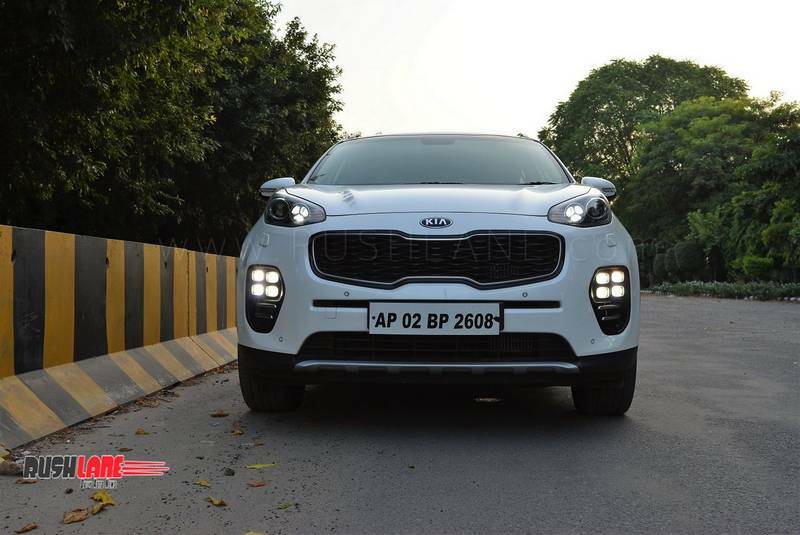 – Though the Sportage comes out as a great place to be in, thanks to the host of features it comes with, it isn’t perfect after all. 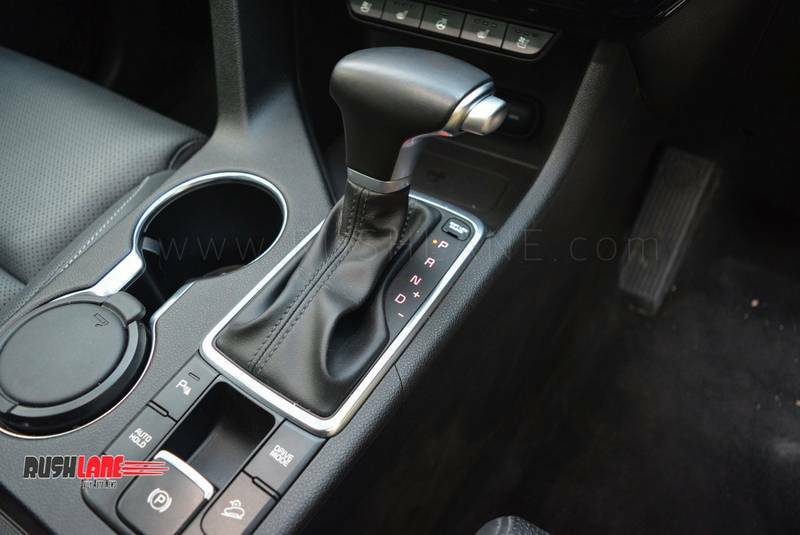 To begin with, the 6-speed gearbox is a huge let-down as it simply doesn’t match up to the diesel motor. 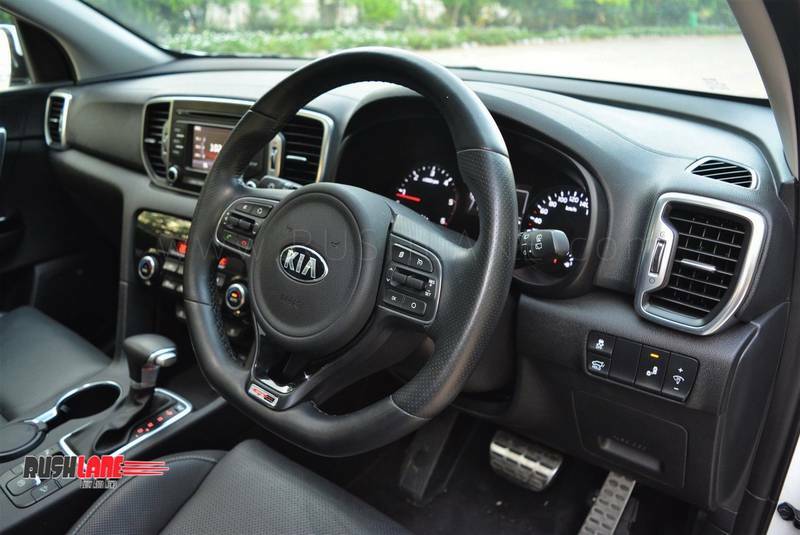 Yes, there are paddle shifters to take control however the gearbox itself isn’t eager and strips away the fun quotient from the SUV. 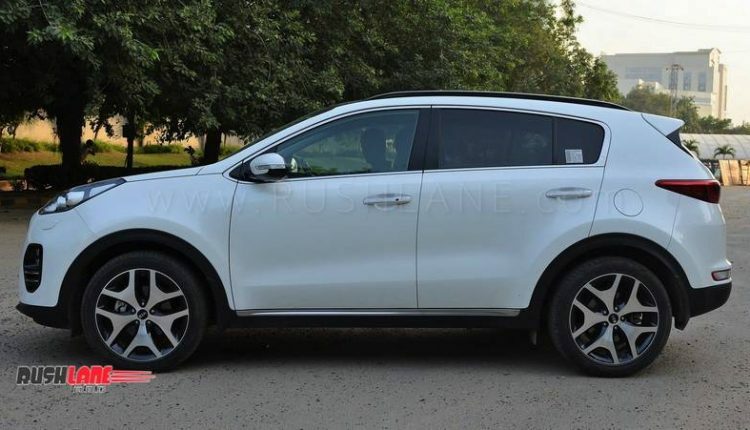 The Sportage comes with 4 discs all around however they don’t seem to be powerful enough, at all. 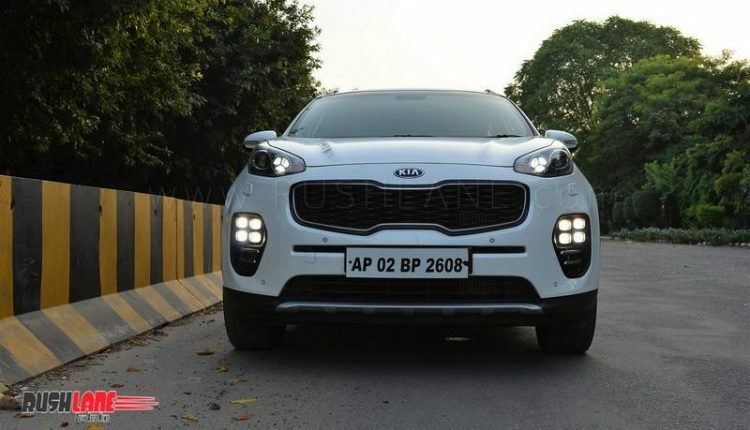 We can give the benefit of doubt to Kia, assuming that there might be something wrong with the test car we had, however if this is the standard braking for the Sportage, Kia should rework on the brakes setup to make it more capable to tame the 2.0 litre diesel powerhouse. 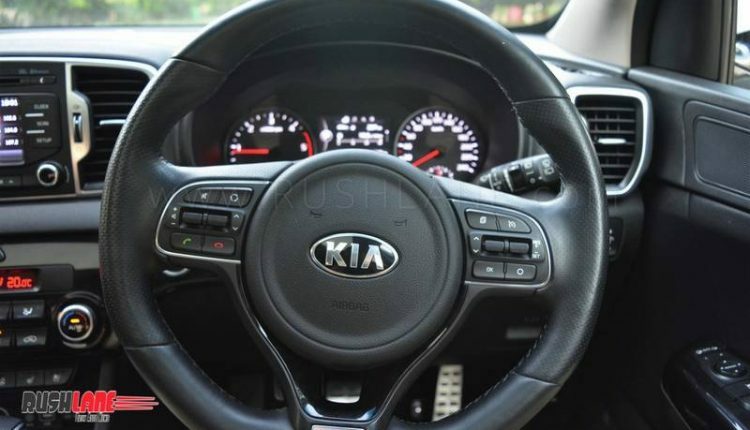 If one can afford a car like Sportage, mileage certainly shouldn’t one of his/her concern. 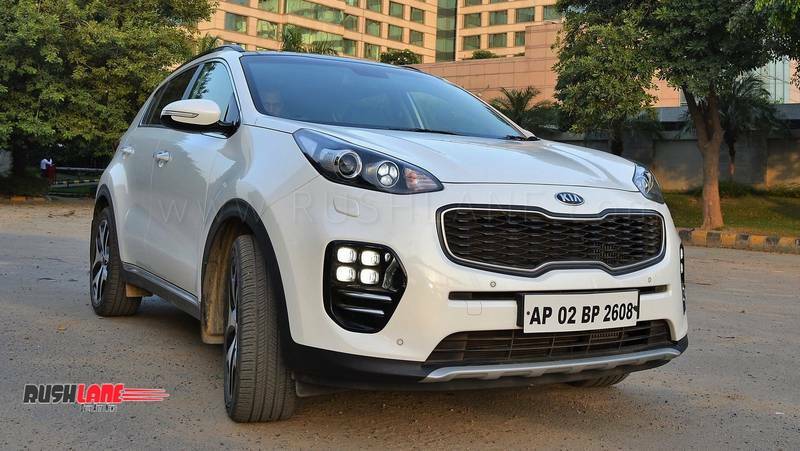 And we believe, that should be the case because the Sportage is a diesel guzzler and consumes around 12.6 litres per 100 km or in other words, provides you a fuel economy of around 8 kmpl (diesel). Not a deal breaker in this segment, however, a relatively higher fuel economy figure wouldn’t have hurt. Verdict – Though the majority of the design is mature and classy, the front is well, at the best we can say, unique. 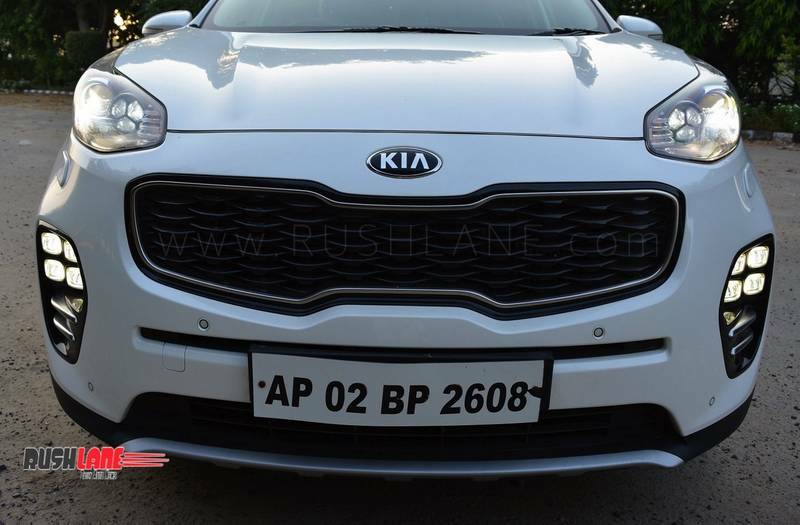 However, this unique face might not be liked by all, especially people who are inclined towards beefier looking macho SUVs. 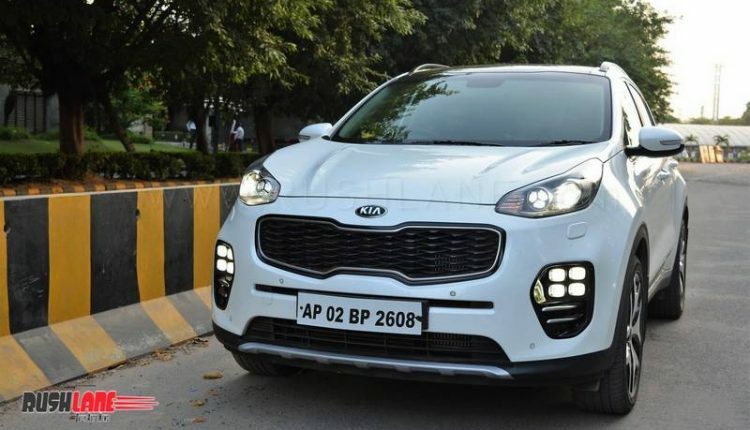 Overall, Kia Sportage is a good-looking C-segment SUV which provides a better in-cabin experience than some of its closest rivals like the Tuscon, Compass and CR-V. 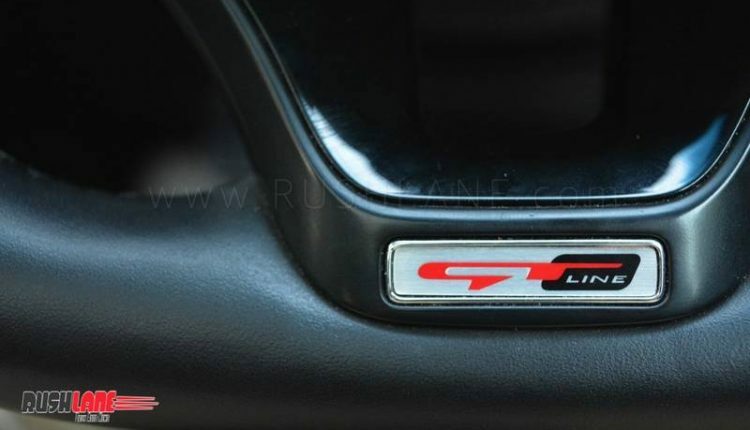 However, we would have enjoyed it more, had the driving experience been more thrilling & enjoyable, especially considering its GT badge. 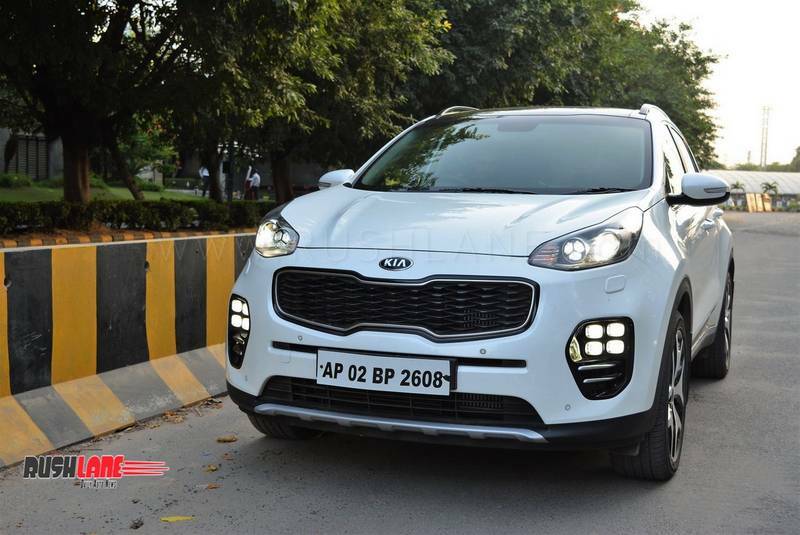 If priced right, Kia has a decent chance to make a big impact in the segment with the Sportage. 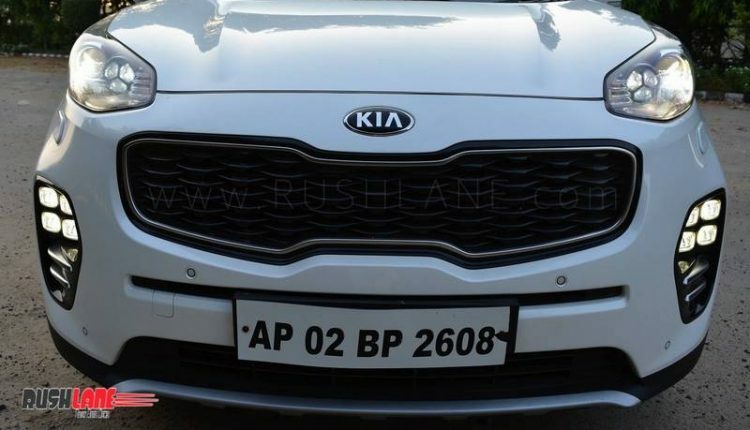 Could this be the second car from Kia in India, we doubt. However, it shall certainly be there in the first 5 list.